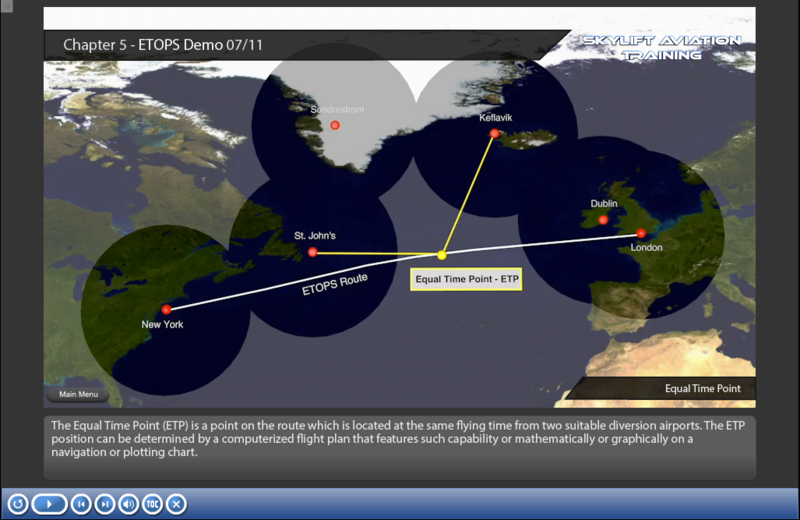 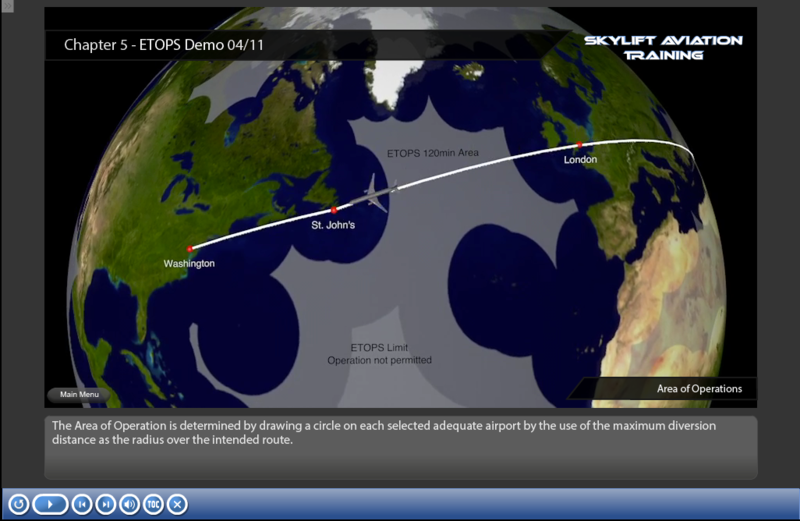 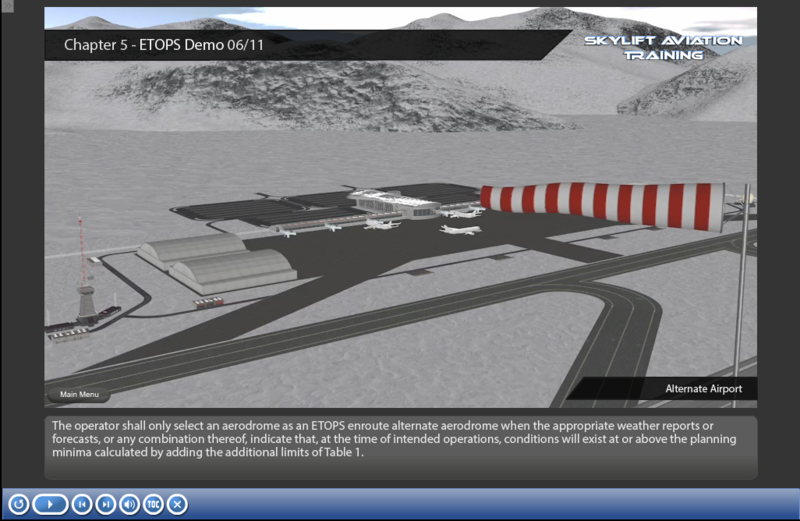 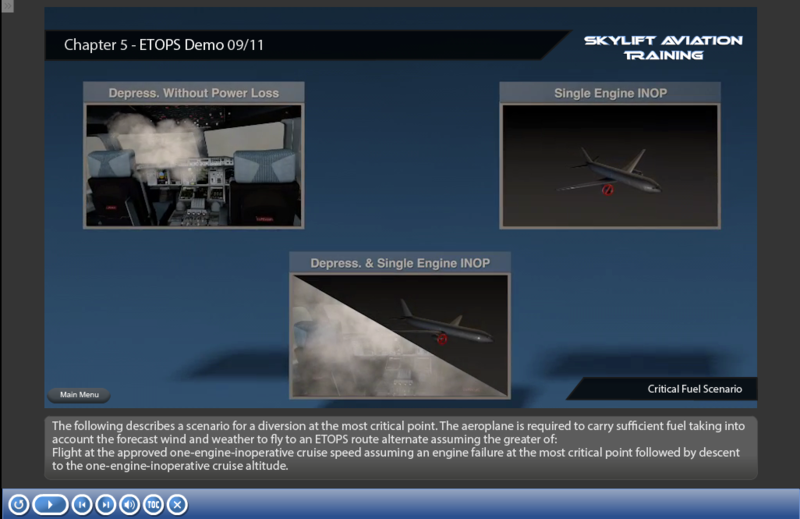 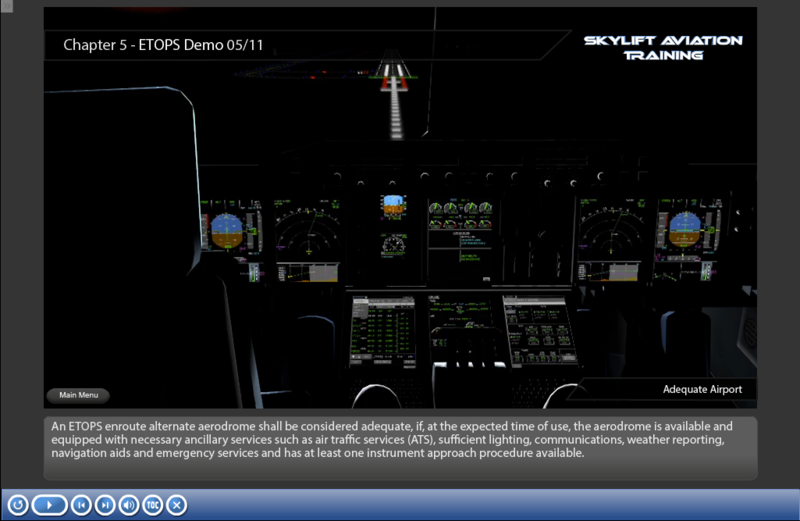 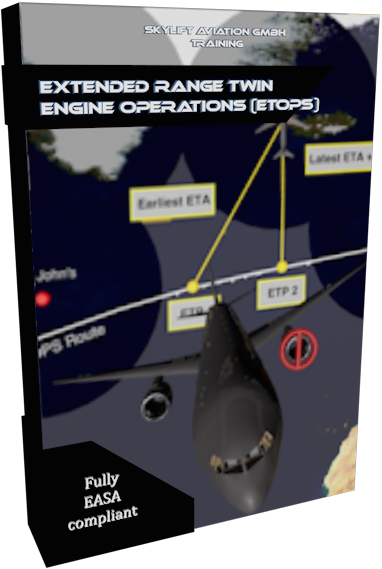 ETOPS Aviation Training - skylift-aviations Webseite! 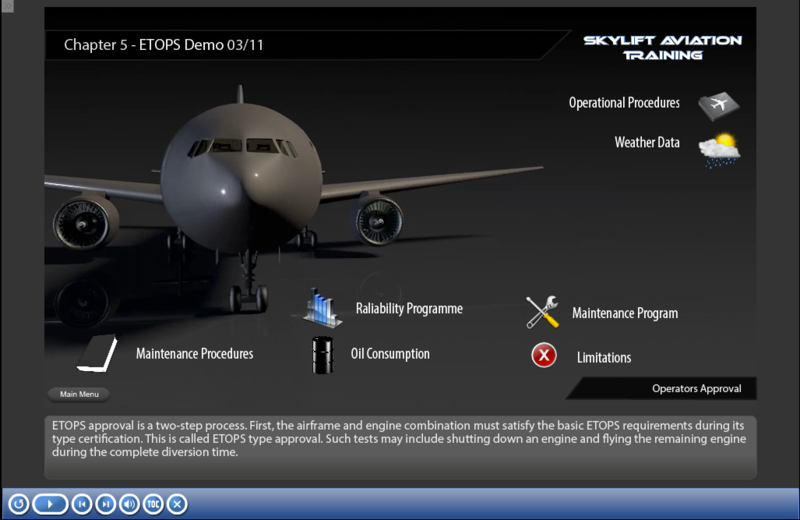 After completion of the course the successful applicant should be familiar with ETOPS operations, equipment and procedures. 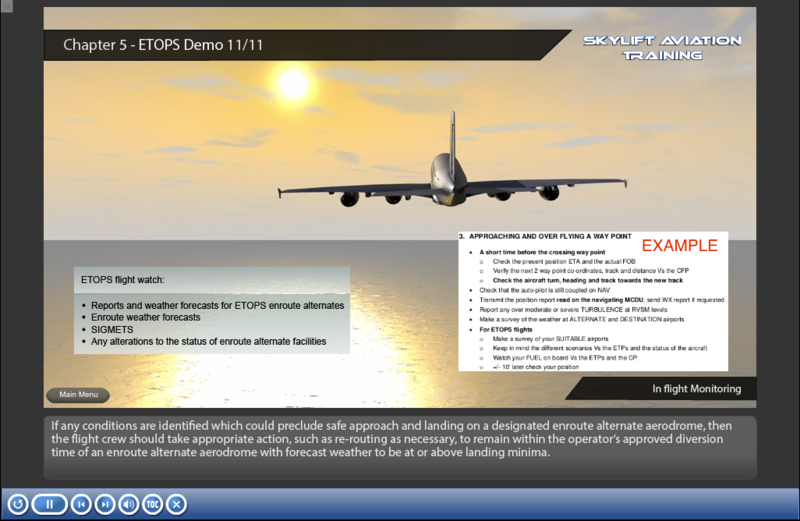 This course also covers the training requirements for operators who have been granted a diversion time up to 180 minutes without a specific ETOPS approval. 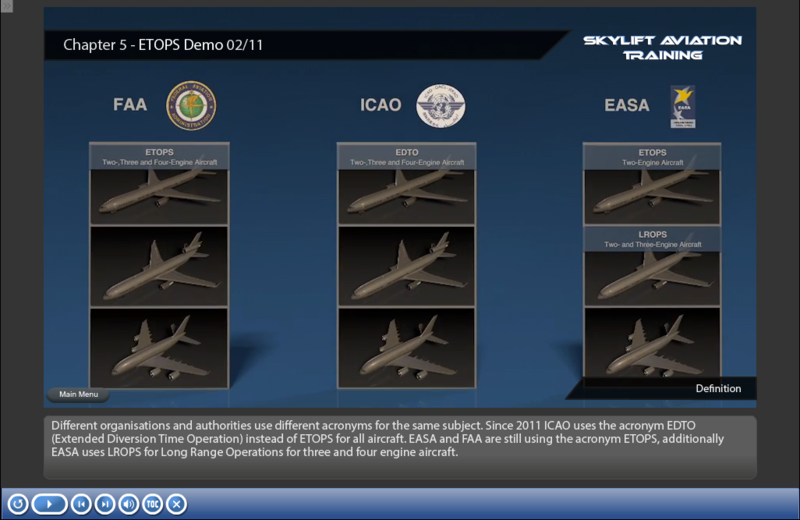 The training emphasizes the development of all required skills and complies with EASA requirements.